There's no Pure Citrus in Hawaii. I bought a can in California but abstained from packing in my luggage to take home, due to TSA restrictions. Tried ordering it online to make delivery the seller's problem, but was advised aerosols are banned from the mails. Therefore, I use Ronsonol lighter fluid. It works marvelously, and I'm careful to ventilate my office adequately. No Pure Citrus here, so may, at some point try on "common" stamps with something similar - what is Pure Citrus marketed as? Mia, Pure Citrus is sold in stores in the air freshener aisle. I recommend the following to guyana1230 and he said he purchased a can. Havent heard back if it worked for him. guyana1230 , thanks for the update and glad to know that the Citrus Magic is working for you. Thanks for the update. Not in any hurry to soak. I last soaked some stamps about a couple of years ago, and then before that, 30 years ago with me sharing a bath with them! I have been using Pure Citrus for some time now. This was based on a recondition from Kacyds. I want to say it works great. I've pretty much used the method you described here (didn't use Pure Citris - yet. Used lighter fluid) with good results. For a scraper I've been using an old credit card. Found it works pretty good. Lighter fluid works great also. The drawback with that is to make sure there arent any open flames or sparks and the smell. When using I try to be outside on the patio or in the garage with the door open. Is the Pure Citrus better? Lighter Fluid is also pretty bad about drying out my hands. Pure citrus smells like you are peeling an orange. The main ingredient is the oil from the skin of citrus. 1) for non US residents: what is Pure Citrus & can be bought in Eu? 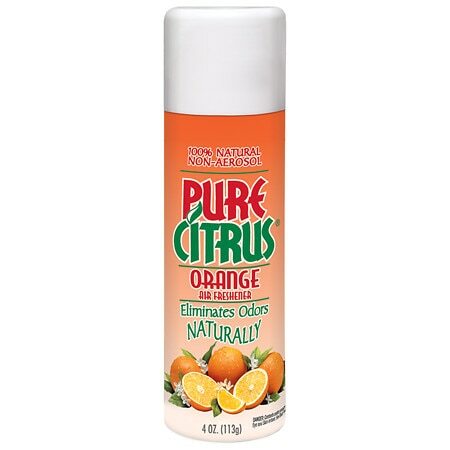 Pure Citrus is sold as an air freshener. Its made from 100% Citrus Oil and smells like you are peeling oranges. From what I gather, after reading thru this thread, its only sold here in the US. If you can find a product that has 100% Citrus Oil, I would try that. I called Blue Magic and asked a sales rep if they had distributors in the European Union. She thought that maybe they did, and gave me a phone number for their sales reps, a company in White Plains, New York. I called them and they were closed. I looked at their Web site and they do represent Blue Magic "Worldwide, except Europe, Korea, Nigeria, Dominican Republic, Puerto Rico, US, and Canada". Maybe you can contact those guys and find out if there is a local distributor for you. I should say (well, maybe I shouldn't say, but I will): the person I talked to at Blue Magic seemed unsure what "Europe" or "the European Union" might be. The first time I said it, she thought I said "New York". but I have to ask - do you have experience just with USA stamps? Havent tried any stamps from those countries, but I have removed recent Great Britain stamps, especially the Machins and Christmas stamps. Works great! krepki , it might be also worth looking for a similar product in your own country rather than looking for this specific brand. Perhaps you can find an air freshener product that contains only orange oil or lemon oil (no other additives or chemicals) as it is the acidity of the citrus oil which is able to break down the adhesive on the stamps. Personally, I have tried this on both Brazilian stamps and Italian stamps, though not Slovenian stamps. It worked on some of the really difficult Brazilian stamps that will not soak off in water. I had to let the stamps absorb the citrus oil longer, however, to break down the adhesive. There were no ill effects to the surface of the stamp. 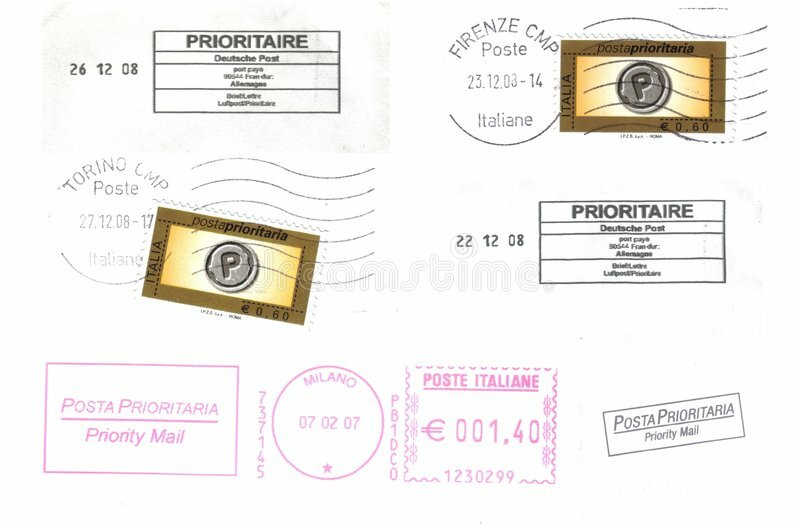 I am guessing you are trying to remove some of the poste prioritaria (see photo below) issues from Italy which are notoriously difficult to remove from paper. These will also come off with Pure Citrus but you have to be careful not to let the surface of the stamp (the picture side) remain too long in the citrus oil as the gold pigment will bleed and rub off on to the surface you have it resting on. With these stamps I spray the backing paper while holding the stamp in my hand and allow the oil to soak through, then I try to gently peel the stamp off while holding it in the air. I hit the gum side of the stamp again with the oil and then put the front of the stamp down in a dry area so that I can scrape off the adhesive with my straight edge as gently and firmly as possible so as not to rub the front surface of the stamp and have the gold pigment come off. I use cleaning spirit (lighter fluid) instead of Pure Citrus. Pure Citrus isn't on the market here in Belgium (i think). It works well and i never have discolored or damaged stamps. I have checked a couple of Wal-Marts and they seems to stop carrying Pure Citrus. Home Depot had plenty, so I picked up a couple of cans.